In its 24th year at Lincoln, the year-end Worthwhile Life interviews, held last week, serve to connect students to cross-curricular topics and themes encountered throughout seventh grade. 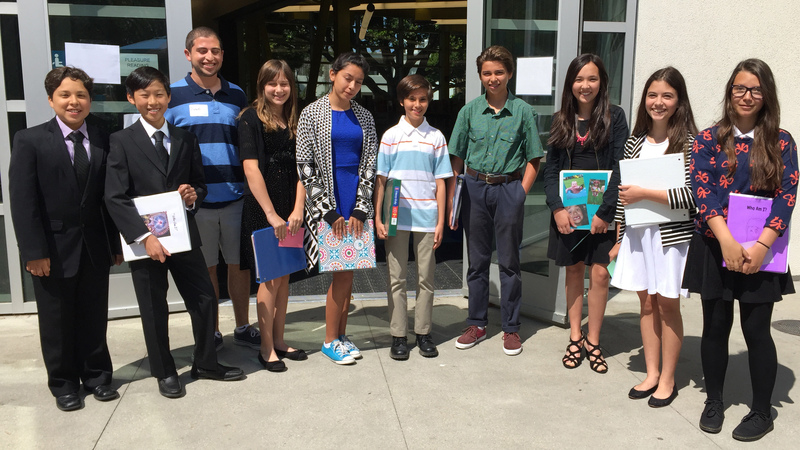 The students are interviewed for 15 minutes by local college professors, Rand researchers, former teachers and students, local business members, and Santa Monica-Malibu Unified administrators and board members, among others. This year, more than 50 adults participated. “Studies show that this is a pivotal age for educators and our school community to help students make real-world associations to what they’re learning in school,” Sharon Klein Hart, Lincoln English and history teacher, said. Hart is the Seventh-Grade Coordinator. Using lessons and units of study from across the year, students are asked by their interviewers what makes a worthwhile life – prompting them to reflect on personal goals and significant decisions that benefit them in the short-term and long-term. They were asked to think of a historical figure, a scientist, a character in books or essays that exemplified a worthwhile life and why. “By providing students with the forum to articulate what is important and worthwhile, they not only stay motivated and interested, but are on track to become better students and citizens,” Hart said. Students also participated in training ahead of the interview, affording them the opportunity to prepare for the discussion’s format and conditions. Interviews were conducted in the school’s newly renovated library and students dressed for success. LMS1: In order to encourage seventh-graders at Lincoln Middle School to reflect on important decisions in their academic and personal futures, 350 students participated in interviews with professionals and community members on the theme, “What is a Worthwhile Life?” on May 27. 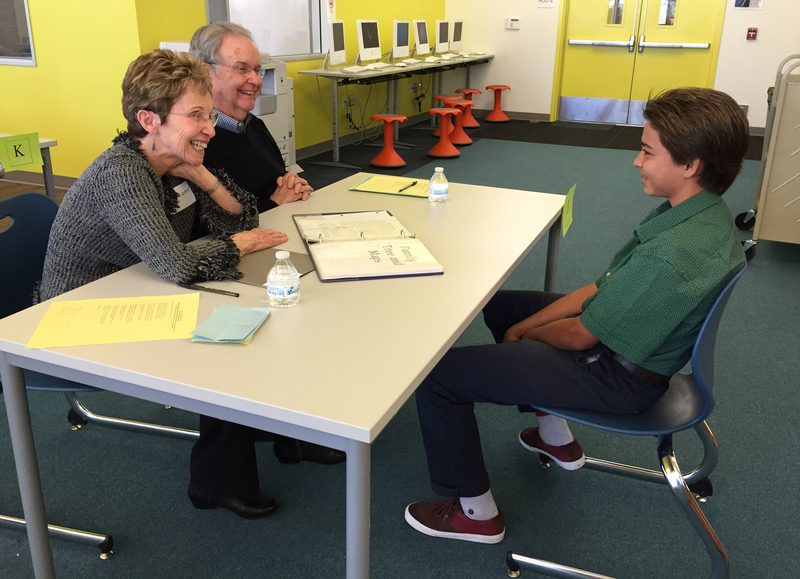 LMS2: In order to encourage seventh-graders at Lincoln Middle School to reflect on important decisions in their academic and personal futures, 350 students participated in interviews with professionals and community members on the theme, “What is a Worthwhile Life?” on May 27.